System Center Universe 2015 is just around the corner! It's that time of the year again where, since 2012, Cameron Fuller and the team over at Catapult Systems have organised one of the best one-day System Center events on the planet in System Center Universe (SCU). If you haven't heard of SCU before, or just didn't get the chance to attend previously, bring yourself up to speed with the history of the conference first here. This years event kicks off on February 4th in Dallas, TX and will run across two separate (simultaneous) breakout tracks. You can check out the full speaker list here. 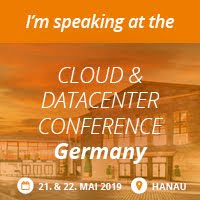 The agenda for the day will include topics that cover ConfigMgr, OpsMgr, Service Manager and Microsoft Azure to name but a few. Here's the full agenda. Now, if you're not familiar with how this plays out and you're thinking to yourself that you're going to miss all this awesome content because you won't be there in-person, or that you'll have to wait for weeks before the recordings are uploaded, fear not - SCU has the solution! This event is streamed LIVE across the internet and all you have to do is register your interest and you're in! So, mark your calendars, order the pizza, crack open a beer and sit back and enjoy the content for SCU 2015! 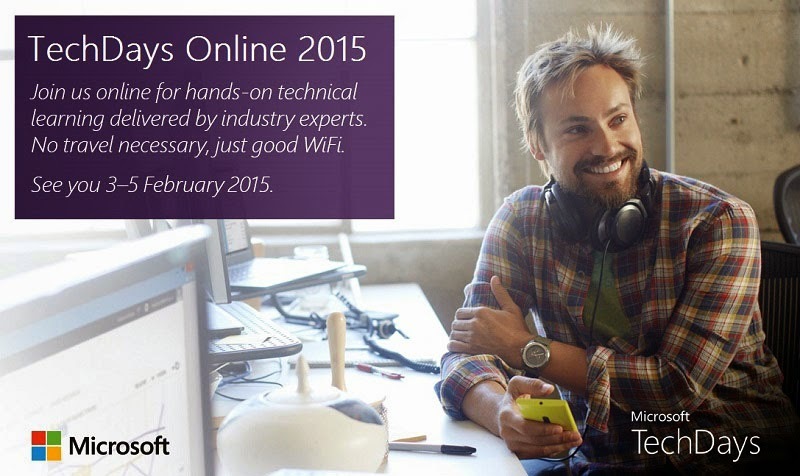 There's only a few weeks left until we get to immerse ourselves in some free online training through the Microsoft-run 'Tech Days Online 2015' event. It will be live-streamed from the UK with a number of very well known speakers on the agenda. What I love about these events are the fact that there's no traveling involved to attend, and it's all free! There's three tracks - split over three days - with some awesome presenters to walk you through the content. So, if you're interested in joining the fun and learning more about your chosen track, then you can register for the event here. Anyone that signs up and attends at least one day will also be entered into a draw to possibly win a new Surface Pro 3 so there's even more incentive to get registered. See you all online there! SCOM - New Windows Server OS Management Pack Available - BUT BEWARE! A new version of this MP has just been announced. Check out the information on changes and where to download it from here. Microsoft has confirmed this is a bug and have pulled this new MP version. The old version (6.0.7292.0) of the Windows Server OS MP has been made available for download again and if you're currently in the process of deploying a new SCOM environment, then I'd suggest using this version for now until the bug is fixed. You can download the old MP from here. "The latest OS MP has a serious flaw when collecting disk performance counters. If you don’t want your DB bogged down with too many performance data points, stay away from it." Now, I've run some tests in my own demo environment and can also see multiple discoveries for each logical disk so until I hear more from Daniele or Microsoft, I'm going to keep this MP out of my production environments - and I suggest you do the same too! I've also just noticed that Marnix has posted something similar about this MP, so it's better to be safe than sorry in this case! Microsoft have just put out a call for people to complete a survey that will ultimately help them shape the future of System Center as we know it. The System Center leadership team is looking to hear from you on the challenges you face with your Management tools and where you would like to see us invest going forward. We put together a short survey to gather your feedback and an option to join a discussion panel around this topic. We are counting on your input, so please take a moment to provide your feedback in the survey. We appreciate all the feedback you have given us in the past, and we hope you continue to do so. As an MVP, I have the opportunity to attend Microsoft HQ in Seattle once a year and speak with the System Center product group and I can assure you - they definitely take feedback such as this onboard! Using Distributed Applications with SCOM? You Might Want to Attend This Webinar So! The essence of true IT as a Service monitoring using System Center 2012 R2 - Operations Manager (SCOM) is delivered through the deployment of Distributed Application models. These models can be complex to configure and maintain if you don't know what you're doing and before you even start designing one for an IT service in your organisation, you need to have all of the relevant components of that IT service mapped out to ensure you can bring them under monitoring control. I've lost count of the number of times that I have engaged with customers on SCOM deployments who have difficulties in identifying all of the key components and dependencies of each of their IT services. Then, when everything is finally mapped out for their services and modeled in SCOM, there is still no (easy) way to dynamically updated the distributed applications when things change. I've known the guys over at BlueStripe Software for a while now and spent some very useful time with them at System Center Universe Europe over in Switzerland last year where I spent a couple of hours querying them on their software and trying to understand where it could fit into my customer deployments. If you haven't heard of them before, then you might want to check out a webinar that they're running in a couple of weeks aptly titled - The End of the Distributed Application (feature) as You Know It. In the webinar, they're going to demonstrate how you can make complex IT service monitoring easy by using their Performance Center software to automatically discover and map out all of the dependent components of your services and then bring them under monitoring in SCOM as distributed application models. It even goes so far as to dynamically update your distributed applications when components get added or retired to the service. "IT teams don’t get paid because all the Servers are running at an optimal CPU rate. They get paid by delivering business applications that work. For System Center owners, BlueStripe’s Performance Center for System Center delivers the desired application-centric management. Performance Center automatically brings application visibility and performance monitoring into Operations Manager – without any manual application creation or updates." There will be two webinars running on Thursday 22nd January at 9AM EST (2:00PM GMT) and 1PM EST (6:00PM GMT). Still not convinced yet? Well, the way I look at vendor solutions such as this is that if they can solve a problem for me and my customers and come in at an acceptable price point, then why wouldn't I want to bring it to the table? This is a unique offering in the SCOM space when working with distributed applications and if Microsoft use this internally, then it's definitely something worth checking out. Deduplication of DPM 2012 R2 Storage is Finally Supported! Just before the Xmas holidays, Microsoft announced that they will support the deduplication of System Center 2012 R2 - Data Protection Manager (DPM) storage when you configure your backup environment as a specific scenario. Deduplication reduces storage footprint by removing duplicate copies of repeating data and replacing those duplicates with markers (or reference points) that refer back to the original source. In some cases, this can lead to massive savings in disk space utilization for your datacentre storage offerings. The scenario that Microsoft will support DPM storage deduplication uses a virtual DPM 2012 R2 (with UR4) server running on a Hyper-V cluster with SMB 3.0 and Scale Out File Server (SOFS) technologies. 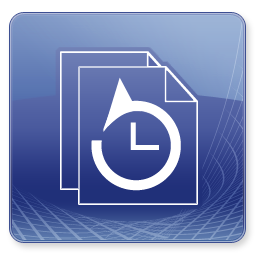 The storage volume VHDX file for the DPM server is located on the SOFS volumes with deduplication enabled. I think that although this is still a limited scenario in which to achieve deduplication for DPM storage, it's definitely a good step forward and a welcome offering. Add to this, the new reporting functionality of DPM 2012 R2 when integrated into SCOM - http://www.buchatech.com/2014/11/dpm-2012-r2-reporting-improvements/ - and you can really get a feel that Microsoft are putting a lot of additional resources into a product that at one stage, seemed dead and buried when compared to its competition. Hopefully the innovations will keep coming!